Steve Rogers is desperate to join the army and serve his country in World War 2. However, his application keeps getting rejected - a result of his small stature and plethora of health issues. Scientist Dr. Abraham Erskine (Stanley Tucci) sees a goodness in Rogers that others have missed and believes he will be a perfect fit for his new, untested, “Super Soldier Serum”. Rogers readily agrees to Erskine’s proposition and, having taken the serum, finds himself physically transformed. He is now capable of heroic, physical action and is soon used by the US army as a powerful new propaganda tool. I have a soft spot for Marvel movies. I loved Thor and the Iron Man films and really enjoyed Avengers Assemble and Avengers: Age Of Ultron. However, I completely missed 2011’s Captain America - The First Avenger. Having now watched this film, I can report that I liked it but didn’t love it. Captain America just didn’t feel as enjoyable as Thor or the time I spent with Mr Stark. I didn’t warm to Steve Rogers as much as the other characters and I found myself wishing that Stanley Tucci and Tommy Lee Jones (who both light up the screen) had had more screen time. However, the way the story links both the hero’s mythology with a more self aware look at Captain America the comic book figure is really clever. I also liked the humour that ran throughout the film. The reason why I love Thor is because it has such a great villain in Loki. 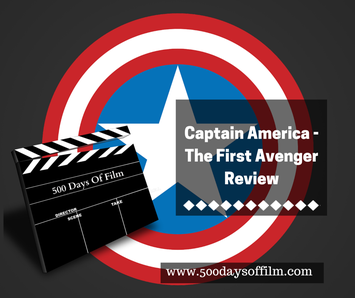 Captain America - The First Avenger suffers by comparison. This is not because of Hugo Weaving - at the start of the film he is brilliantly evil. However, I started to lose interest in him after he pulls back his face to reveal his Red Skull persona. In fact, his resemblance to Jim Carey’s Mask character became quite distracting. All in all, an enjoyable action flick, but on balance, I’d rather watch Kenneth Branagh’s Thor again. I thought that the way the film handled Steve Rogers’ transformation was really clever. Yes, he looked a bit odd every now and then but it did make his post serum frame look all the more impressive. Is it just me or did the film end on a really (and annoyingly) flippant note?